Factory set to open at customer specified pressures to prevent system overpressurization. For operating pressure up to 5,000 psi (350 bar). 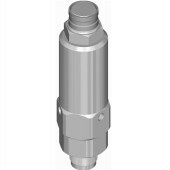 1″NPT Male connection. Factory set to open at customer specified pressures to prevent system overpressurization. For operating pressures from 5,000 – 10,000 psi (350 – 700 bar). 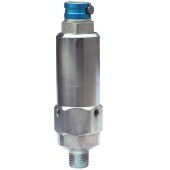 1″NPT Male connection. Factory set to open at customer specified pressures to prevent system overpressurization. For operating pressure up to 5,000 psi (350 bar). 1/2″NPT Male connection. Factory set to open at customer specified pressures to prevent system overpressurization. For operating pressures from 10,000 – 15,000 psi (700 – 1000 bar). 1/2″NPT Male connection. Factory set to open at customer specified pressures to prevent system overpressurization. For operating pressures from 5,000 – 10,000 psi (350 – 700 bar). 1/2″NPT Male connection. Factory set to open at customer specified pressures to prevent system overpressurization. For operating pressure up to 5,000 psi (350 bar). 3/4″NPT Male connection. Factory set to open at customer specified pressures to prevent system overpressurization. For operating pressures from 10,000 – 15,000 psi (700 – 1000 bar). 3/4″NPT Male connection. Factory set to open at customer specified pressures to prevent system overpressurization. For operating pressures from 5,000 – 10,000 psi (350 – 700 bar). 3/4″NPT Male connection. Factory set to open at customer specified pressures to prevent system overpressurization. For operating pressures from 15,000 – 20,000 psi (1000 – 1400 bar). 20K Port Male connection. Factory set to open at customer specified pressures to prevent system overpressurization. 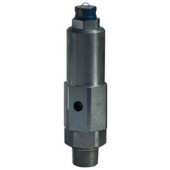 For operating pressures from 15,000 – 20,000 psi (1000 – 1400 bar). 9/16″MP Male connection.